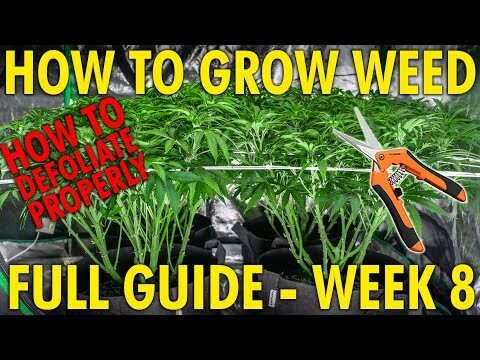 In this episode of “From Seed to Stoned” we will be following these Cheese and Jack Herer plants through their 8th week of life. I retrain the plants with our newly installed scrog net, and finally get to defoliate my plants through a method called lollipoping. We get to see the cheese really explode in size, and I ask you guys your opinion on how I should finish this grow.